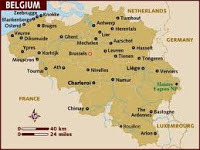 Euthanasia Prevention Coalition Euthanasia Prevention Coalition: Belgian Euthanasia Commission refers case for judiciary review. Belgian Euthanasia Commission refers case for judiciary review. 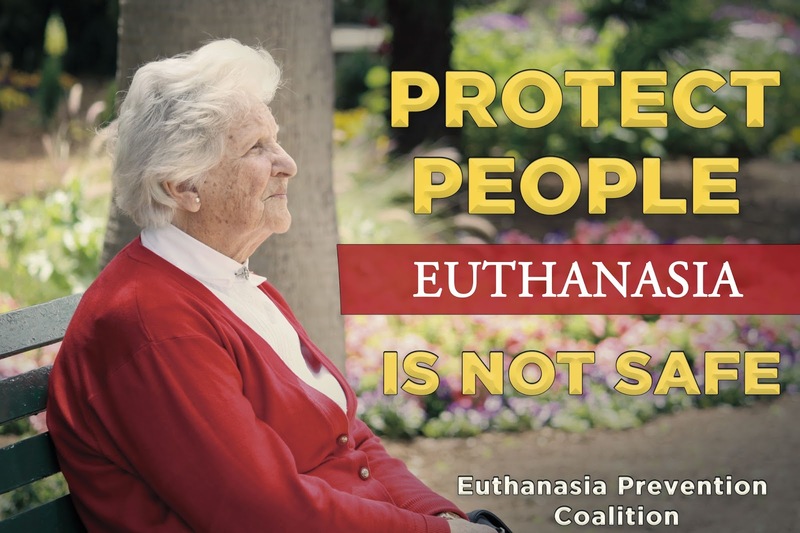 "Marc Van Hoey, a physician who performs euthanasia and is head of the Flemish death-with-dignity association, said there has been a shift toward euthanasia of what he called the high elderly. “Recently I went to see a lady of 95 years old, sitting in a nursing home all by herself. All her friends and family had died. The only people she had good contact with were the nursing team. She said every evening she goes to bed, she hopes, ‘Don’t let me wake up any more,’ ” he said. He told her she was a candidate for euthanasia. 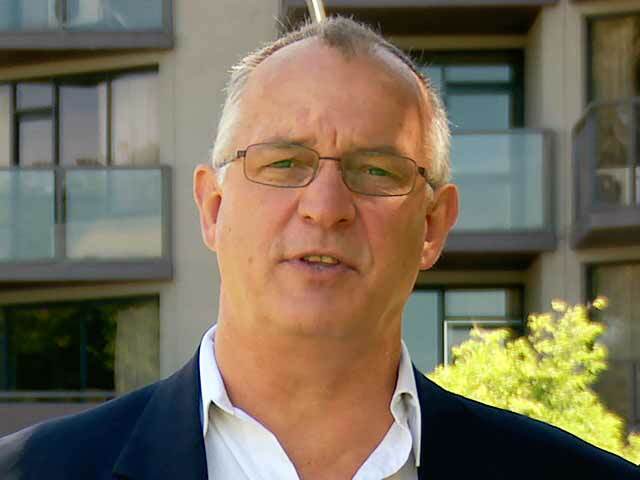 "Dr. Van Hoey is remarkably frank about how flexible the euthanasia law is. It requires a written request for euthanasia from a patient, but it can be written on a napkin, he said. The control commission has even approved euthanasia when there was no written request, taking the doctor’s word that an oral request had been made. "Assisted suicide — when the doctor prescribes a patient lethal medication instead of administering it himself – is not legal in Belgium. But Dr. Van Hoey said he has aided the suicides of two of his patients, including one a few years ago who had been refused euthanasia. The 56-year-old businessman was half-paralyzed after a stroke and did not want to live, but he had trouble finding a psychiatrist who would approve euthanasia. Dr. Van Hoey said today he would have gone ahead and performed the euthanasia without the approval of a psychiatrist instead of surreptitiously prescribing lethal drugs. He noted that Belgian law only says a third doctor must be “consulted” if death is not imminent. “It is not said [the doctors] have to agree,” he said." Jacqueline Herremans, president of Belgium's francophone death-with-dignity association and a member of the control commission told the National Post in the same article (above): “Being tired of life is not an acceptable diagnosis... But if, for example, someone is afflicted with osteoarthritis, can no longer leave the rest home where she lives, is losing her eyesight, losing her hearing, in that case you have the necessary information about the person’s medical condition.” Having lost a spouse can also be a factor. “It sometimes enters into the consideration of suffering,” she said." But there's more to it than that. Official records and studies based on death certificates in both Belgium and Holland show that not all euthanasia deaths are reported as the law demands. In a De Standaard interview in January 2014, Dr Marc Cosyns frankly admitted, in the presence of the co-chair of the euthanasia commission, Dr Wim Distelmans, that he has never reported his own cases, as required by law. Distelman's replies" “But Marc...you cannot ignore the criminal law.” And yet nothing happens. Perhaps the lady would have jumped out the window and perhaps not. Van Hooey could have invited her to dinner. He could have sent her flowers. He could have taken her for a walk or a ride in his vehicle. He could have adopted her as his "honorary grandmother"
Actually, come to think of it, fourth floor windows in nursing homes cannot be opened far enough for anyone to jump out of them. What is "Dr." Van Hooey thinking of? And I just read a quote from "Dr." Distelmans in his book “In Pursuit of a Dignified Life's End”, he writes about palliative (or terminal) sedation ..”It is unthinkable that a doctor would not administer some form of pain relief to a demented patient who is crying out in pain from bedsores”. Has the good doctor never heard of electronic air pressure mattresses, which sense how the person is lying and adjusts itself automatically, thereby preventing bedsores? This is standard patient care in the nursing home my mother was in. But it sounds like the Belgian doctors kill people when they get bedsores, so they don't need air pressure mattresses, which are very expensive.